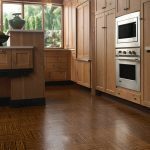 The choice of flooring options for kitchens obviously will affect the appearance of the kitchen instead of the furniture and the arrangement. 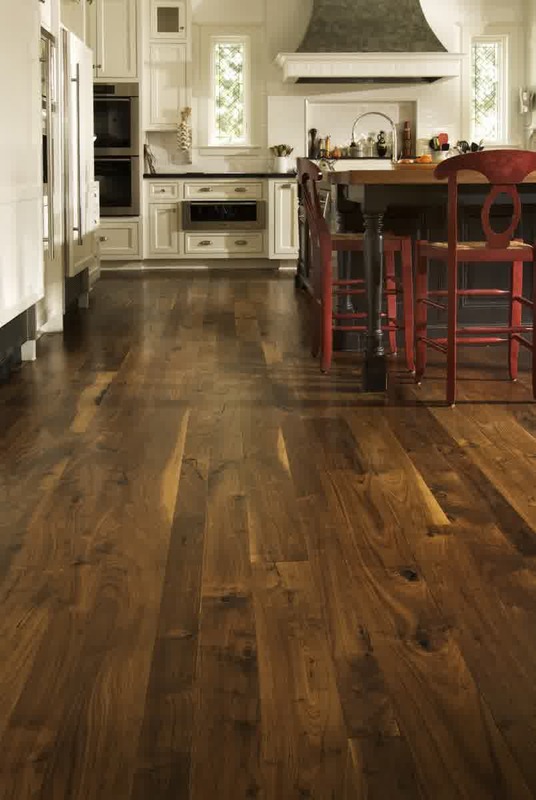 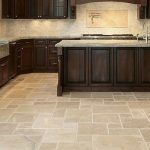 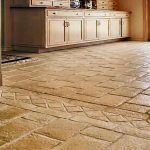 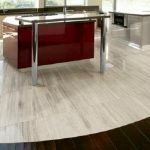 There are various flooring options for kitchens that sell in the market, but you need to be careful in deciding the proper flooring for your kitchen decoration. 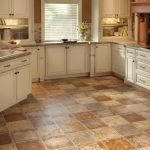 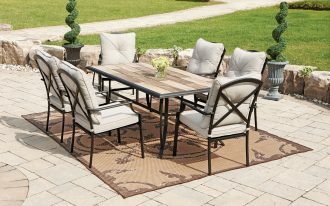 In selecting the flooring option, it is better for you to match it with the furniture, style and color scheme in your kitchen. 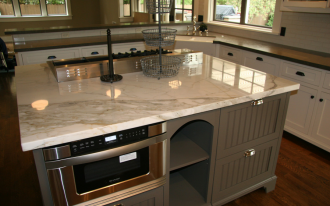 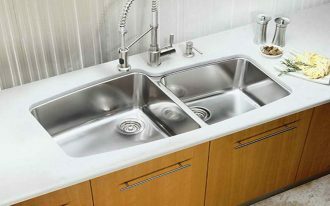 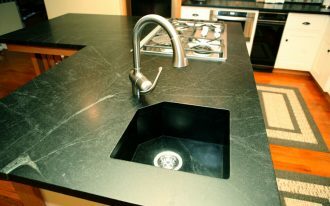 Thus, you can get the perfect combination of the elements in your kitchen. 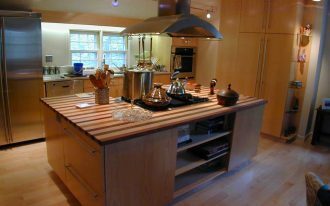 Let’s take a look at the kitchen decoration pictures and figure out the inspiring ideas that you can apply in your own kitchen. 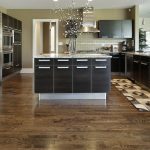 Those kitchen decoration use different flooring options but all of them present wonderful kitchen decorations that catch your eyes sight. 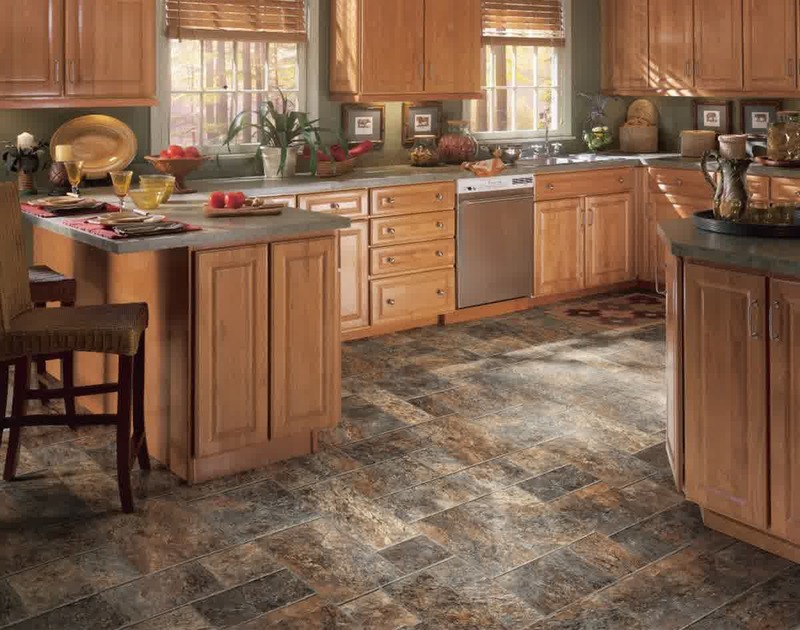 The tile flooring is one of the popular flooring options for kitchens that present the clean land minimalist outlook. 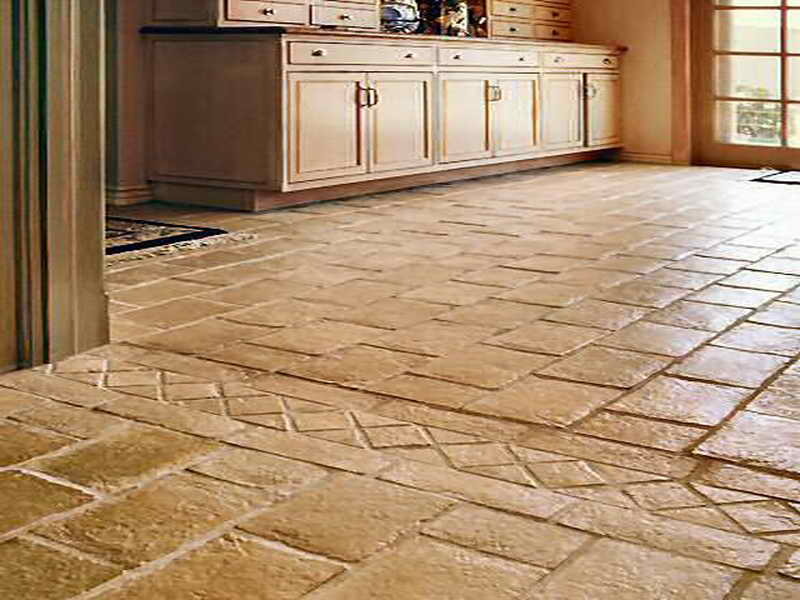 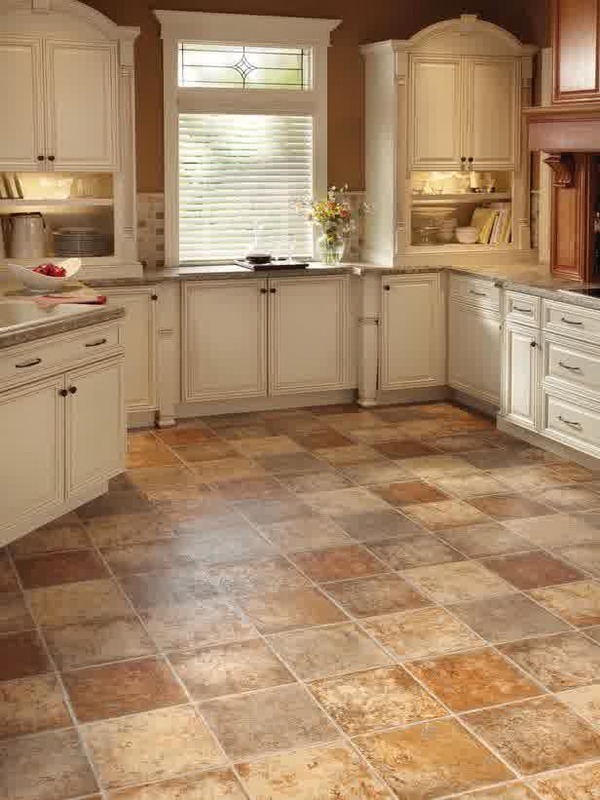 The tile flooring has various patterns and colors that give you a lot of option for your kitchen flooring ideas. 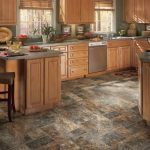 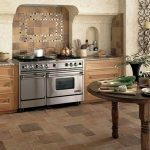 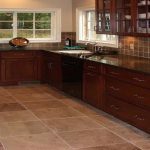 What’s about choosing brown tiles for your kitchen design? 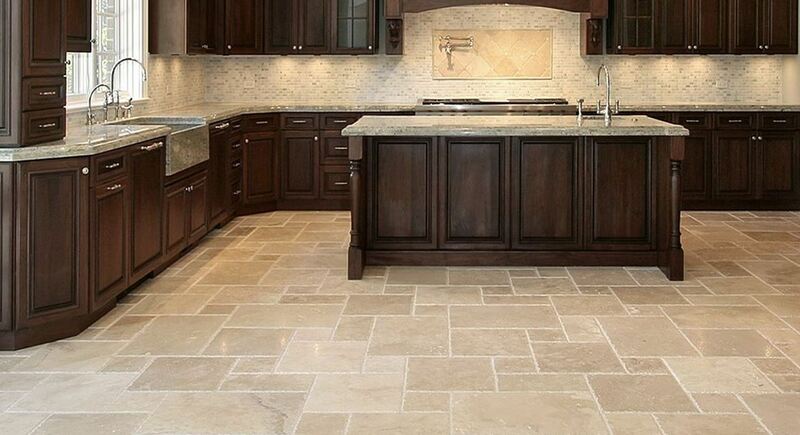 Brown is a natural color that suitable for all kitchen style. 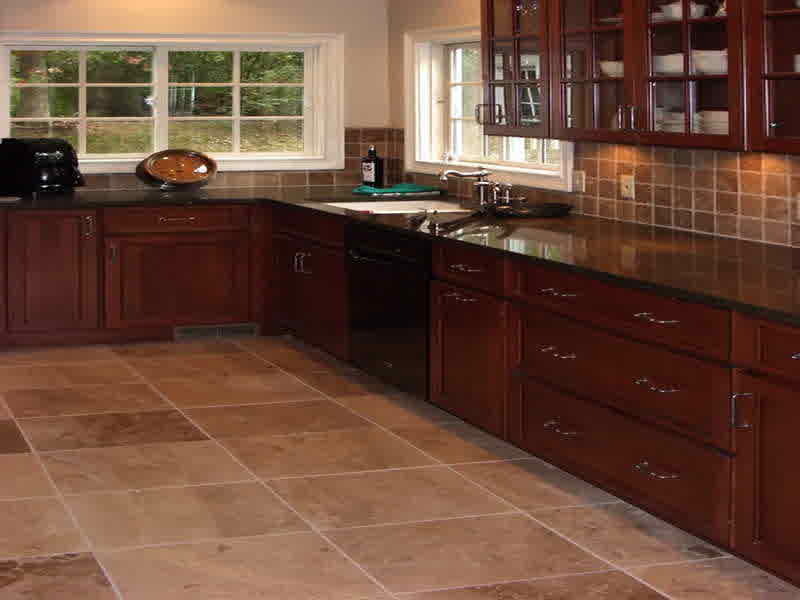 Match it with wooden kitchen cabinets and you will get the excellent visualization in your kitchen. 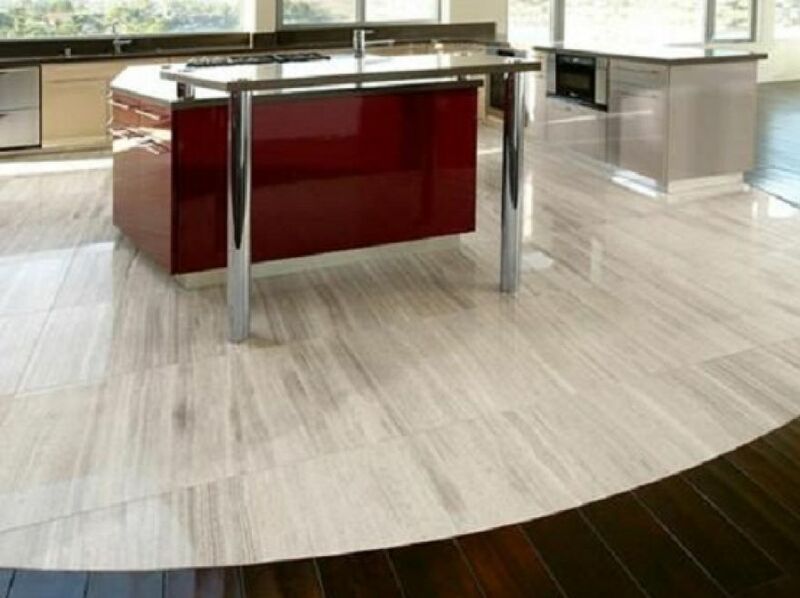 To get the impressive details of flooring, you can install the tile in extraordinary pattern which you can see in the following pictures. 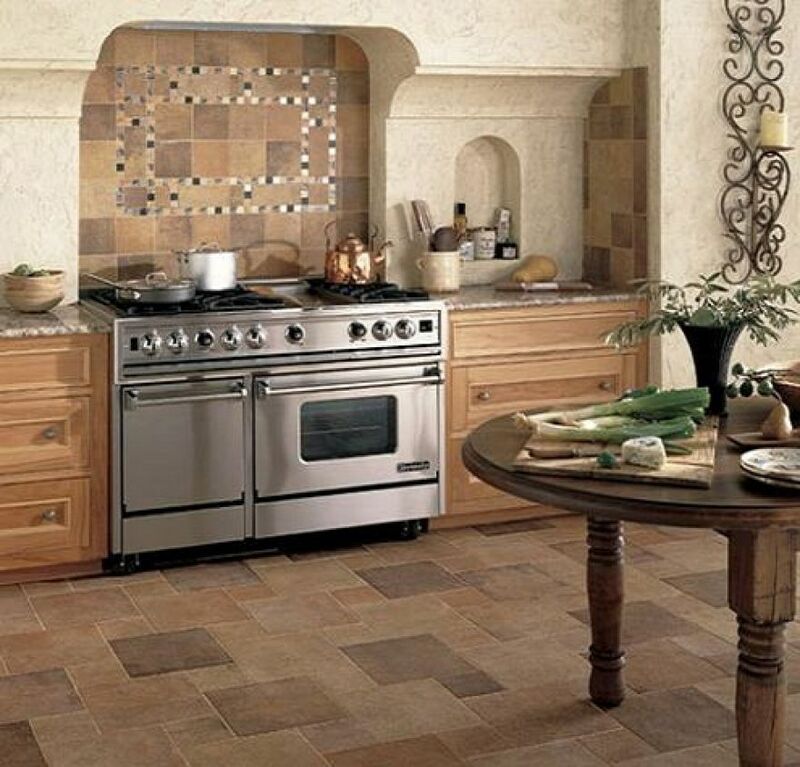 For you who are in love with rustic or country thing, you can choose wooden flooring option for kitchens. 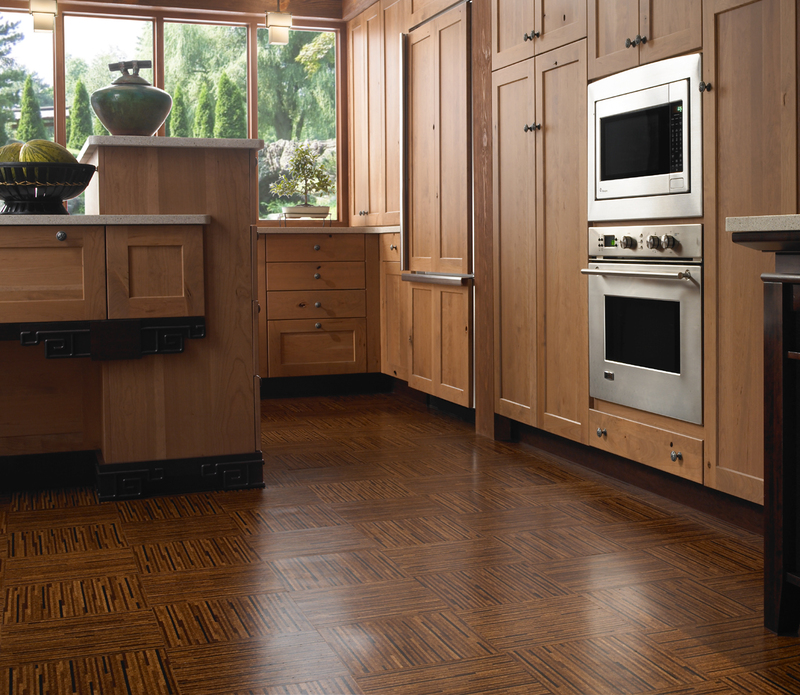 Decide which one that you admire the most: the hardwood or the wooden laminating floors? 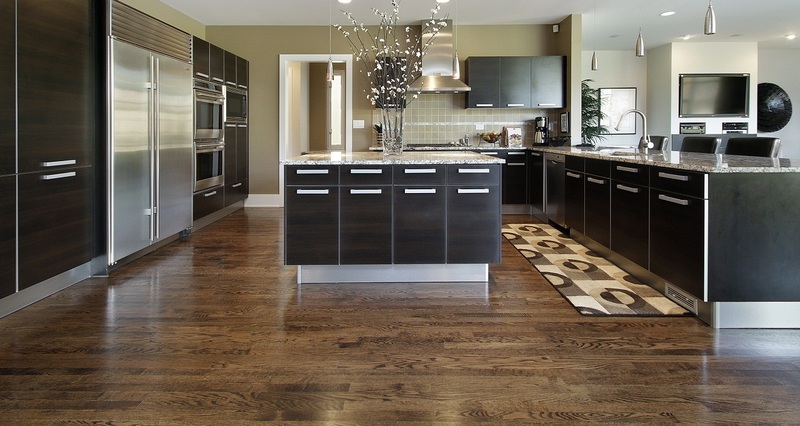 Both wooden floors are beautiful, but the hardwood floors are more expensive than the laminating floor. 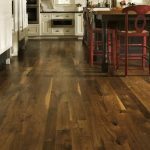 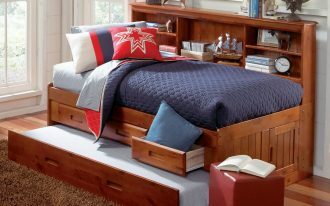 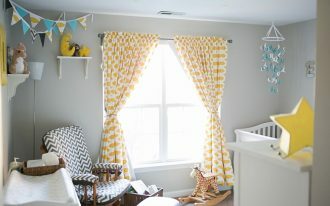 Nonetheless, the hardwood floors stick out the rustic outlook more than wooden laminate floors do.